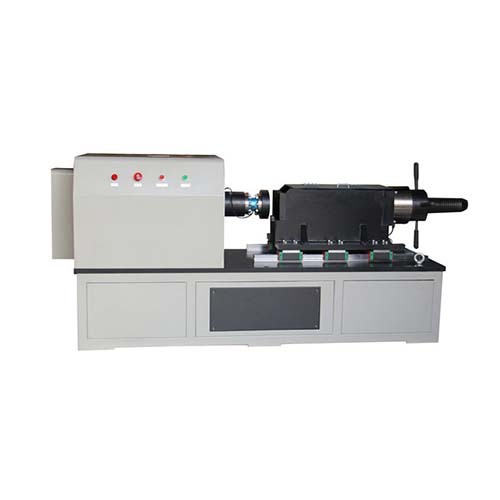 This testing machine is according to GB50205-2001, which can test axial force, torque and torque coefficient of large hexagon head high strength bolts joint pair (M16, M20, M22, M24, M27, M30), with displaying and printing. When the axial force reaches the standard value, the device automatically shut down, and can automatically reverse the release of the sample, meanwhile, according to the test of axial force and torque, it can automatically calculate the torque coefficient and automatically displayed, and can show the axial force curve, torque curve, torque coefficient curve; when a group of tests done after the automatic calculation of N pcs test specimen of the average axial force, the average torque, the average torque coefficient, the standard deviation and coefficient of variation; storage and can read and print at any time. With parameter backup and recovery, automatic calibration function, according to the high-strength bolts detection requirements also set the monitoring of peak keeping and sensor overload protection prompts and other functions.